I recently participated in a wonderful interview series that's making its debut right now. It's called The Habits of Go-Getters interview summit. A really astounding young lady and go-getter herself, Katya Meyers, created the interview series to share what happens behind the scenes in the lives of successful health & wellness oriented professionals. I'm honored to be a part of her series and my interview is LIVE and ready to be heard by clicking RIGHT HERE. You'll receive a recording link once you're all signed up. And yes, it's FREE! Before you give a listen though, I want to share my thoughts on what Katya Meyers is doing. When Katya first reached out to me and shared a bit of her life with me, I was really impressed with her background and how she left a traditional career path to pursue an endeavor her heart was stuck on (racing). But most of all, I was struck by how Katya took the time to create her Go-Getter Series and visualized something extremely collaborative that women could learn from. How does anyone say "no" to that? They don't. So I encourage you to learn from what Katya is doing, and find a direction in your life where you can connect with all kinds of people who want to help you because they believe in the inherent good of your mission. I believe this is how an idea grows and travels far. Katya is one smart cookie. 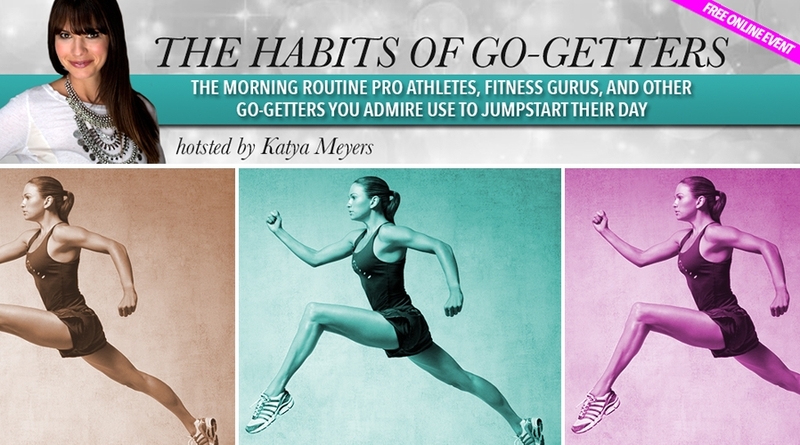 Thanks for listening to my interview at The Habits of Go-Getters summit. If you're moved by what you hear, please share the link for it: http://www.gogetterhabits.com/biancajade There's also a GIVEAWAY linked to my interview for a multi-pack of Mizzfit barre fitness grippy socks. I suggest you try and win that! Plus, you'll find more interviews from a bunch of really impressive women (like pro athletes, health gurus, life coaches, celeb bloggers and podcasters, etc), so make sure to browse around and sponge up some healthy habits. Thanks to Katya for makin' it rain with enlightment at her summit.